I couldn’t ask for a better Christmas-themed event for the children to attend this holiday season. I am so THANKFUL that they went over the weekend. It saddens me to see how commercialized Christmas has become. Santa is not the main attraction for the season, but that’s what’s happened. When I watch these Christmas shows that focus on Santa and the “true meaning of Christmas” and then make no reference to Jesus… it actually makes me a little crazy. But we – as a family – have to do our part to keep CHRIST in Christmas. It’s not the media’s responsibility. I understand that. It sort of looks like this — best version I could find online. That was really important to me because it always kept the religion in the holiday. It PAINS me to see how mixed the message has become. That’s why I was SO happy to see that my town put on “A Night at Bethlehem”. 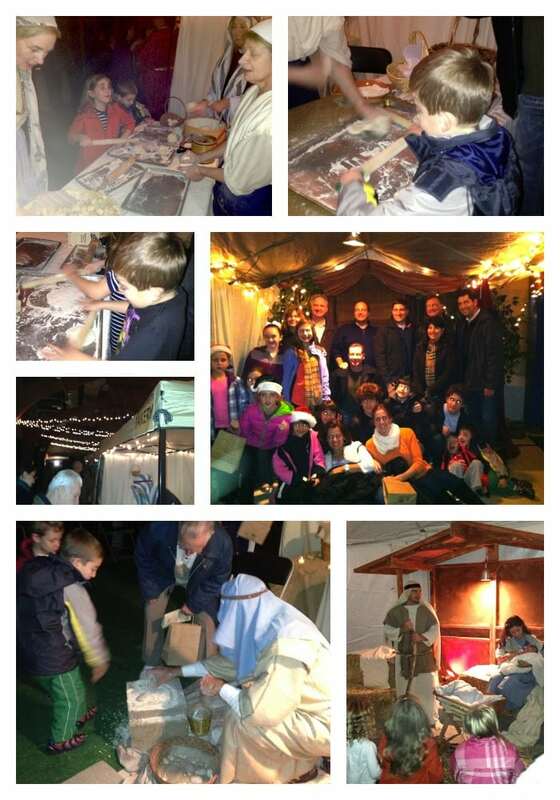 The kids were able to walk through a representation of Bethlehem and do arts and crafts at each station. A TON of our friends also attended which was an added bonus. With each activity came a story. The children loved listening to them almost as much as the craft itself. Natalie was enamored with the “Baby Jesus Story”. Bill said she watched it a good 15 times! To round out the evening, the children enjoyed a petting zoo. What a lovely event! If anything it’s fueled me to try to bring more religious figurines into my house. 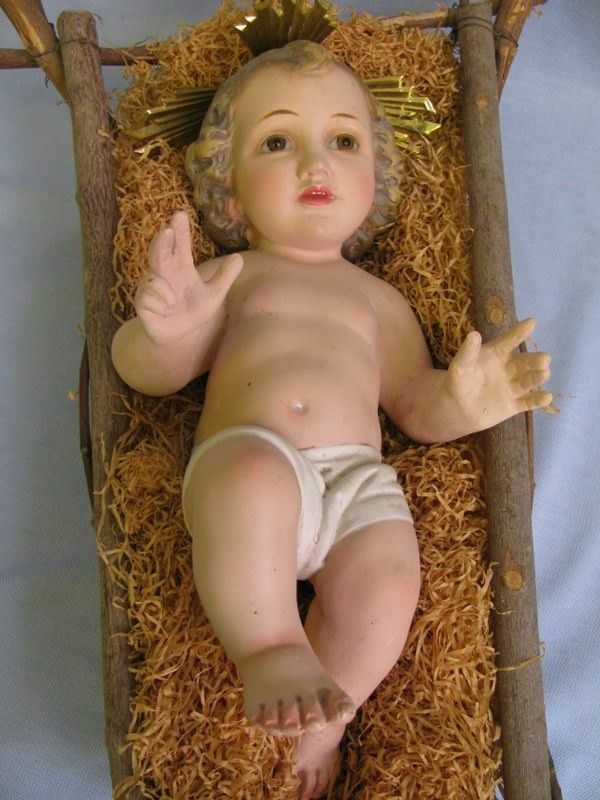 I’m going to write a letter to family in Malta and ask them to ship me one of the Baby Jesus cribs that I grew up with. 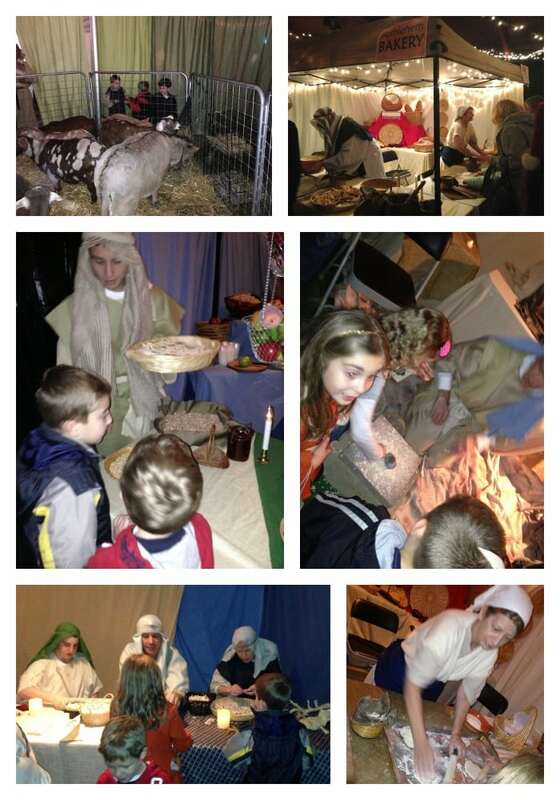 Does your town put on something like “A Night at Bethlehem”?